The Tioga Indians are not known as a team that consistently contends for state championships every season, but the 4A program proved that they were a team on the rise last season with Kevin Cook as head coach. In 2016, the Indians won ten games and had a playoff win before losing to Warren Easton in the next round in a very competitive game 26-23. The Indians did it with a high scoring offense and a tough nosed defense. Even though the team lost veteran senior QB Logan Dubois as well as most of the offensive starters from last season, the Indians have a chance to equal their record or even better their record this season because the team returns arguably the best defensive player in Alexandria in senior LB Detavius Eldridge. Eldridge is the backbone of a defense and when you see him play, it sure feels like he is all alone on the field because he is on every tackle. Last season, Eldridge led the Tioga defense with over 100 tackles, but what is most incredible is that 81 of those tackles were solo tackles. Not only is he an instinctive tackling machine, but he also proved to be a great pass rusher with six sacks last season. Eldridge even plays a big part on the offensive side of the football with five receiving touchdowns in 2016. Having Eldridge back on this team is huge as a lot of senior leadership is gone from last year’s team, and as the team’s best player, he has shown great leadership the last couple of years. To have a versatile, athletic, and instinctive linebacker is huge for any team because the linebackers are the quarterbacks of the defense, and he certainly fits that role. 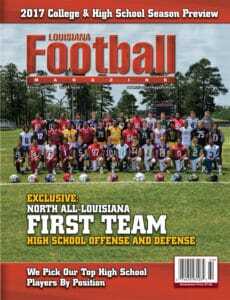 Louisiana Football Magazine’s recruiting expert Lee Brecheen believes that a DI school will pickup the star Tioga player in the end. So far, Eldridge has a couple of schools that he has got his eye on in ULL, ULM, and Southern, but surprisingly with the talent that he has, Eldridge has not yet received any official offers from schools. When the schools do check out Eldridge, that is all going to change. 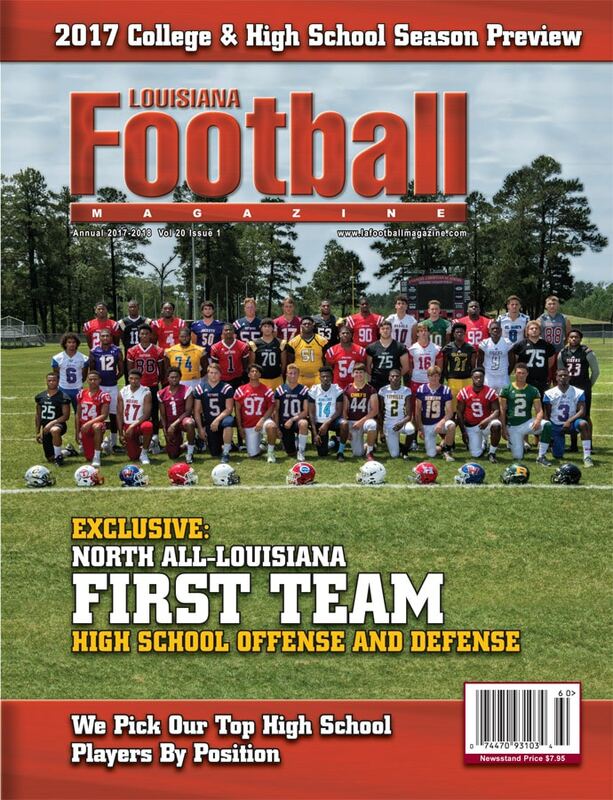 In today’s recruit spotlight, we caught up with our All-North Louisiana LB selection as he talked about the breakthrough season for Tioga, his thoughts on the start of the season, being on the cover of the North Edition of the magazine, what he looks for in a college, and so much more! LAFM: What is your current height and weight? I don’t have any official offers yet. 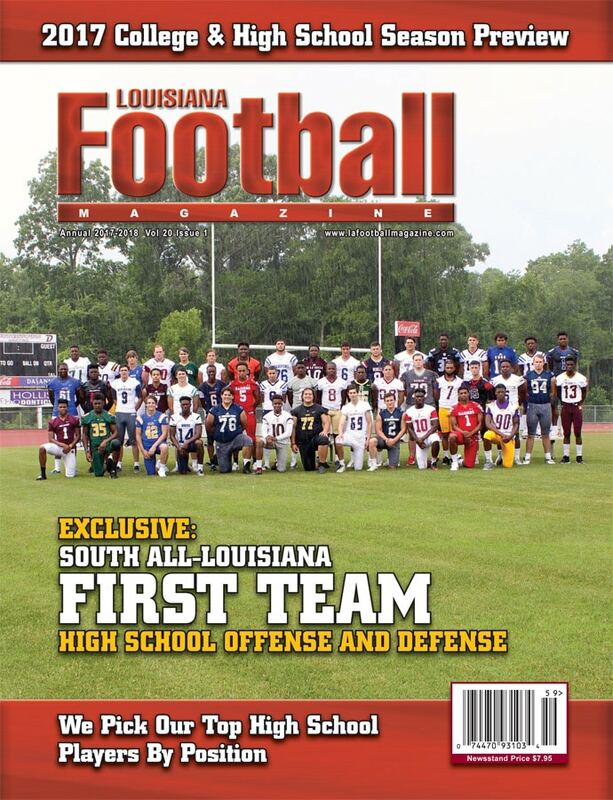 LAFM: You made our All North Louisiana team and were on the cover of our magazine. 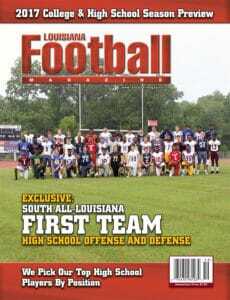 What does it mean for you to be recognized as one of the best players in the state heading into your senior season? It feels great knowing that my hard work is paying off. My biggest strengths are being able to fly to the ball and make big plays. 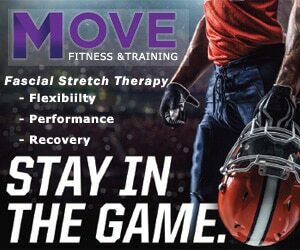 LAFM: What are some areas to our game that you need to improve on before going to college? I need to improve on dropping into coverage and reading guards a little more. LAFM: What are the biggest accomplishments over your career as of right now? I would say starting to get looked at by colleges and getting the chance to continue to play football are my biggest accomplishments. LAFM: What are some things that you look at when you are looking at what school to attend? I look at just how the environment is as well as a good band because when they play, it keeps me pumped and ready for the next play. LAFM: Last season, Tioga had themselves a great season winning ten games and making it to the second round of the playoffs. What are your overall thoughts on last season? It was a good season because everyone had the mindset of winning. We always been the underdogs, but we stood our ground. LAFM: This season, the team is off to a great start at 3-1 and continuing where the team left off last season. What have you liked from this team the most so far and what does the team need to do to keep the momentum going against a team on the rise in Pineville? Moving the ball on offense and being able to put points on the board. On defense, we have to be able to fly to the ball and keep up with a high-tempo team. LAFM: You are a great two position player at tight end and linebacker. Which position do you enjoy playing more? I enjoy playing linebacker more. That’s for sure. LAFM: What is the best game of your high school career so far and why is that your best game? I would say the second round playoff game against Warren Easton because I like playing good teams. and that game came down to the final second. I like to go hunting and fishing with my friends. LAFM: What are your goals for this season? My goals are to become the best linebacker and to lead us back to the playoffs anyway possible.